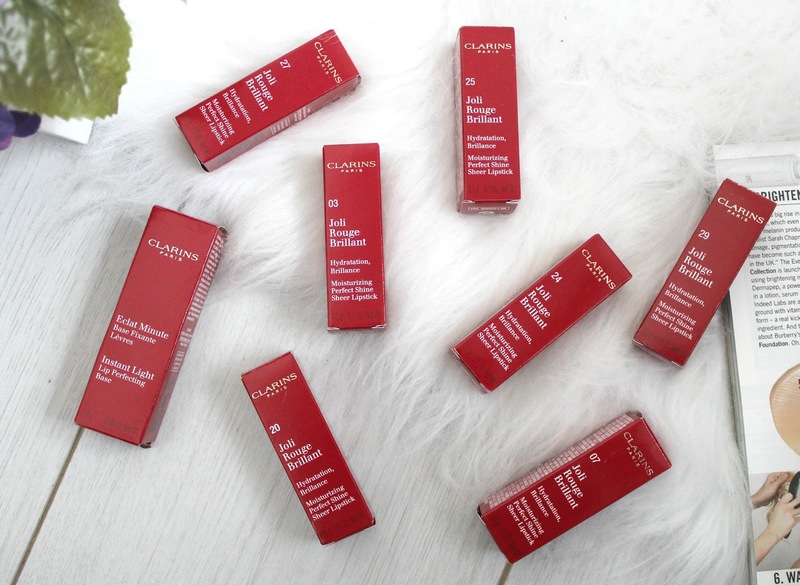 Clarins are definitely one of my favourite brands - I've tried a lot of their products over the years including their skincare and makeup and have to say, I've been so impressed by everything I've tried. Their moisturisers are amazing, their face tanner is a must-have in Summer and their lipsticks are stunning. 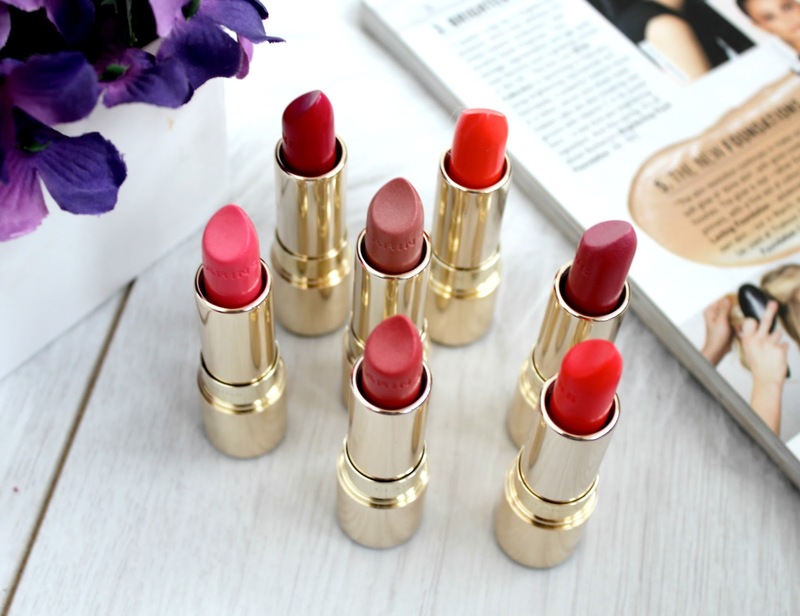 The lipsticks would probably be my all time favourite Clarins product - especially the Joli Rouge range which I'm sharing today! I first tried this range of lipsticks a few months back and the shade 'Orange Red' became a staple for me over the Christmas period - if you like orange toned reds with amazing pigmentation and a moisturising formula, that's a must-have! Unfortunately I never got chance to review them before Christmas as everything was so hectic but I can tell you I've been using them a lot and they've gone straight to the top of my 'favourite lipsticks' list. Clarins have now released a new S/S range of the lipsticks naming them 'Joli Rouge Brilliant' which has the addition of a new Shine Booster+ complex which makes them even glossier than the original Joli Rouge range so I wanted to share them with you as a post about these lipsticks is well over-due! Firstly, I have to talk about the packaging as I'm a self confessed makeup packaging addict. I'm just drawn to pretty packaging, what can I say. The Joli Rouge's come in sleek gold tubes and feel really expensive and luxurious. The lid also clicks into place in a very satisfying way and the curved tip of the lipstick makes application more precise. Is it just me who loves little touches like that? The name of each lipstick is also on he bottom of the tube so it's easy enough to find the one you're look for if you have quite the collection - guilty!! They all have cute but self explanatory names too which I like. Sometimes brands go way too far with their product names to the point that they don't even make sense! You go Clarins and your 'Watermelon' and 'Hot Fuchsia' naming. Now my favourite thing about these lipsticks is definitely the formula. They're classed as a 'moisturising perfect shine sheer lipstick' and I 100% agree on the moisturising and shiny parts but not so much on the sheer. Considering they have such a moisturising formula, you'd expect them to be very sheer and more like a tinted gloss but as you can see from my swatches, they've got great pigmentation and I find you can really build the colour up so it looks exactly on the lips as it does in the tube. Some of the more neutral tones are slightly more sheer but I don't mind this as they're perfect for day to day wear when I only want a hint of colour on my lips. I find they make for the perfect Winter lipstick as when my lips are feeling dry, the last thing I want to wear on them is something heavy and matte as those kind of lipsticks cling and generally don't look all that nice. However, I also think they'll be perfect in the Summer months and on holidays when you want a natural and fresh faced look. I'm a big fan of glossy lips and usually always add a gloss over lipsticks but with these ones, a gloss isn't required as they're so lovely and shiny anyway. In terms of lasting power, they last for a couple of hours before the need for a touch up which is understandable with the formula being moisturising and glossy. 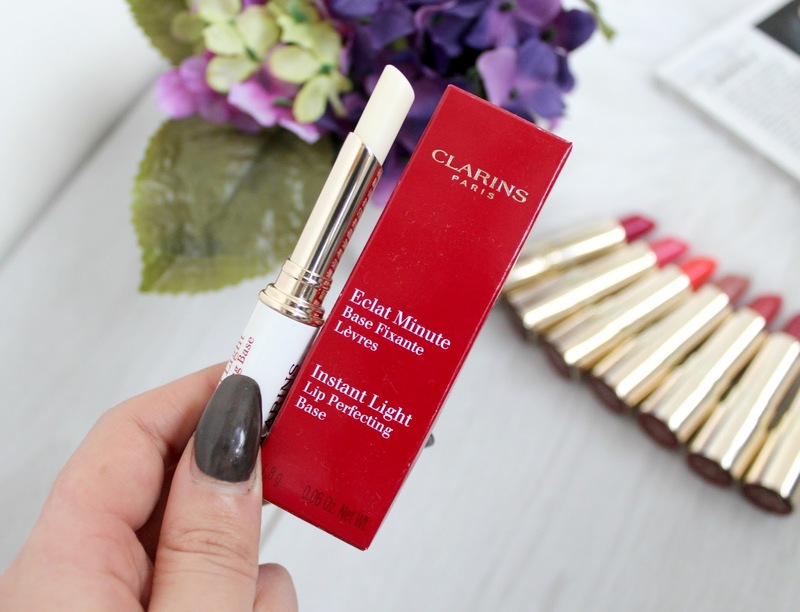 However, Clarins have also released a new lip base product to help make their lipsticks last even longer. 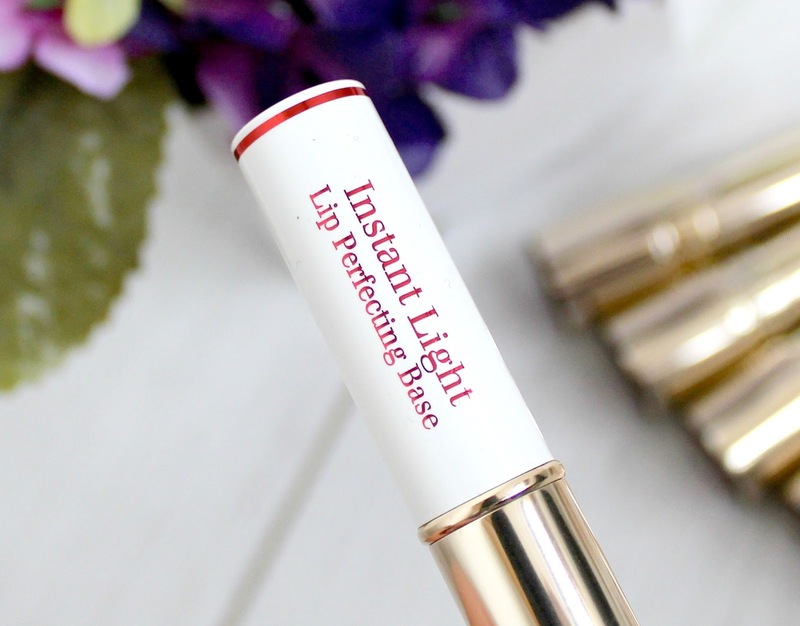 The Instant Light Lip Perfecting Base is a primer for the lips which creates a smooth base to ensure lipstick lasts and also looks its best. It's transparent so can't be seen on the lips but much like a face primer, it preps the lips and smooths out any imperfections as well as nourishing the lips. It also smells like sweet and sugary Vanilla - almost good enough to eat!! This product probably isn't a necessity, especially as the Joli Rouge lipsticks are already so hydrating but if you want a product to prime your lips before wearing matte lipsticks, this could be the answer. I'm not sure if it does make lipstick last any longer but it definitely hydrates the lips. Then again, so does Vaseline so considering this is priced at £18.00, I do feel like its an overpriced lip balm and not something I necessarily need in my collection. My favourite shades from the ones I own would have to be Tea Rose as its the perfect every day neutral shade, Raspberry as I find these kind of berry shades really flattering and also Hot Fuchsia as I love wearing bold fuchsia shades for a glam look - I find the blue undertones make my teeth look whiter. However, I honestly do love them all and there isn't one I wouldn't wear!! 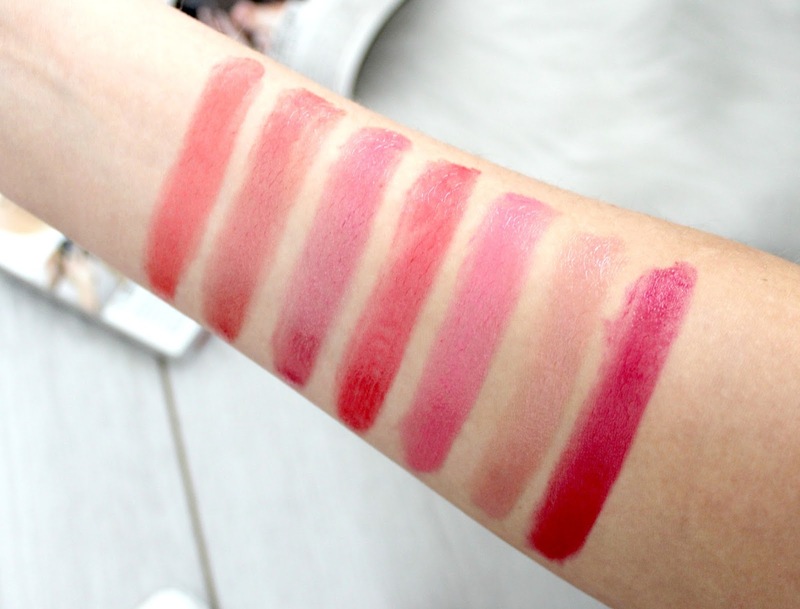 Priced at £19.50 these lipsticks definitely aren't cheap but they're totally worth the price in my opinion as they're everything I could want from a lipstick and more. If you're more of a matte lover, these probably won't be for you but if you want a beautiful glossy lip colour that will keep your lips feeling hydrated throughout the day, the Clarins Joli Rouge range is for you. Ooh Hot Fuchsia is a gorgeous colour! I love how beautiful those swatches look! it has a medium pigmentation that looks perfect for daily wear. 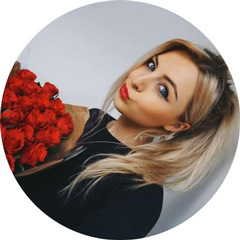 I've been following your blog now for a few years and I love reading your posts! I love these shades! So vibrant! I'm definitely going to give these a go, the colours look gorgeous!